Jada Pinkett Smith, along with Regina Hall, and film producer, Will Packer, stopped by V-103 in Atlanta on Wednesday to promote their forthcoming film, Girls Trip. 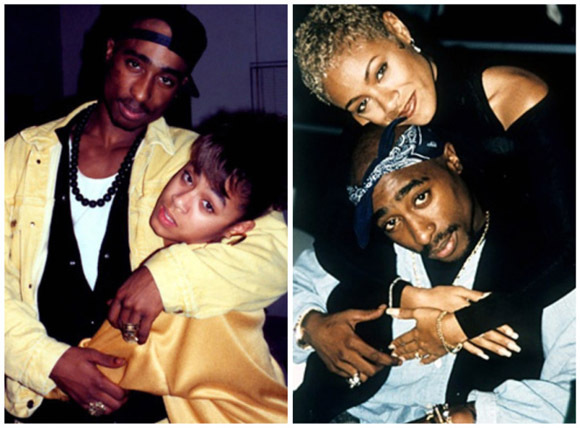 While promoting the movie, Jada was brought to tears when discussing the Tupac biopic, All Eyez On Me. Girls Trip will be in theaters soon, so Jada, Regina, and Will Packer are making their rounds to promote it, which brought them to V-103. In the beginning of their interview, everything was all good, as they chopped it up and laughed together. Then it came to a screeching halt when host, Ryan Cameron shifted the conversation to ask Jada to share her feelings on the Tupac biopic, All Eyez On Me. On the day of the film’s release, she took to social media to blast the film for its inaccurate portrayal of her friendship with the late legendary rapper. See what all Jada had to say here. Fighting back tears, the actress explained that because their relationship was so “special and important,” she felt it was disrespectful across the board. Candidly, Jada revealed that the people behind the film know her because of their business relationship with her. Pinkett-Smith said the fact that she knows the “Code Black dudes” who helped distribute the film made things “even more painful” because they all did the 2012 film, Free Angela and All Political Prisoners, together. “I thought it was just handled in a very disrespectful way, and I felt like it was exploitive of me and Pac, how they used our relationship to sell a movie, and I just felt like it was tomb-raiding in regards to Pac,” she continued. So emotional, Jada had to stop and compose herself as it was difficult for her to speak.